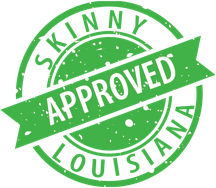 Skinny Louisiana… Dines Out will showcase healthier (Skinny Louisiana approved) foods from local Shreveport/Bossier restaurants. Restaurant/chefs could choose 1 or all options giving patrons healthier options. 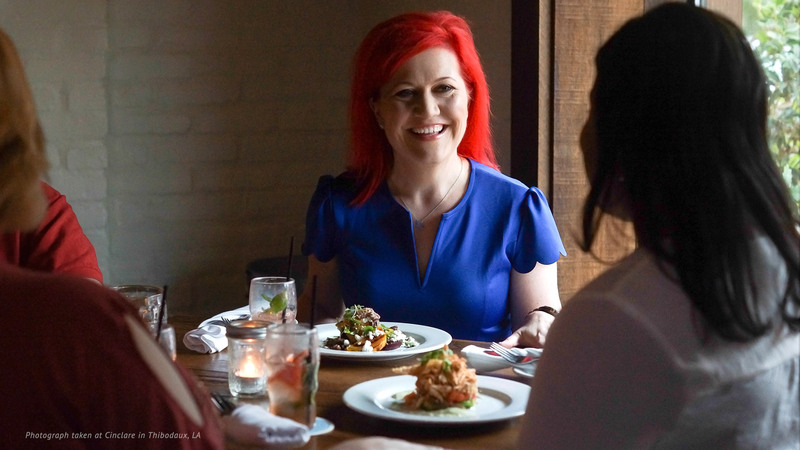 Culinary dietitian and cookbook author, Shelly Marie Redmond, will work one-on-one with your team to execute healthy selections for your clientele. Allow patrons to switch out starch for an additional vegetable/salad. OR Allow patrons to order a sandwich/burger bread less or bun less. COST: There is no cost to you. Skinny Louisiana will provide laminated menu insert and will come in to train your wait staff. Shelly Marie Redmond and the Skinny Louisiana team will need a listing of the ingredients. This will be kept confidential and returned to restaurant/chef manager. COST: Change of menu. Offer to come in for a training of the wait staff. Use of any recipe in the Skinny Louisiana cookbook in menu. COST: No cost BUT must indicate the dish is from Skinny Louisiana. Menu change needed. Nutrition analysis of menu. Confidential review of ingredients on all offerings using FDA approved software. Would only need ingredients. Shelly goes into help chef develop a recipe OR cocktail that is Skinny Louisiana approved. This would be an entree (under 30 grams of carbs, 5 grams of fiber or higher), side/dessert (under 15 grams of carbs, 5 grams of fiber or higher), cocktail (under 10 grams of carbs). COST: Negotiable depending on request. Would Facebook Live from the restaurant. 2 Facebook post a month on Skinny Louisiana page (time/date of your choosing). Client Load - 20 clients weekly. Referrals from the Family Doctors and Drug Emporium.